On Tuesday United Parcel Service (UPS) workers authorized their union to begin what could be the first—and largest—labor strike since 1997. The decision lands at a time where a five-year labor contract is set to expire at the end of July. The strike deals with how the shipping company aims to expand to offer deliveries every day of the week. Voting began in the middle of last month and concluded June 3, with more than 90% of members voting in favor of going on strike if a deal is not reached before the current labor contract expires. 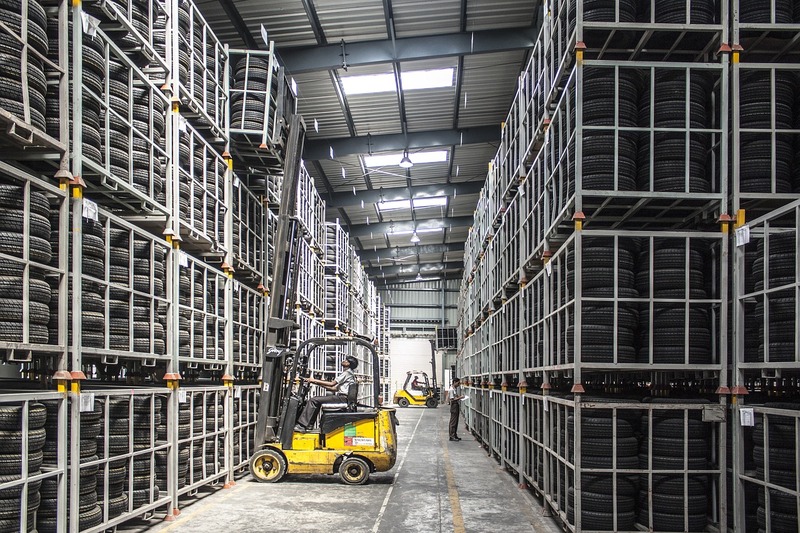 Strike authorization doesn’t necessarily mean a labor strike will come to fruition, however, it is a common negotiation tactic union use to apply pressure to their company. Despite the strategy, UPS and the union are in a contract that restricts the possibility of a strike until after the current contract expires on July 31. Strike negotiations at the moment cover the usual swathe of issues facing laborers: part-time and full-time wage disparity, safety conditions, and benefits. At the spearhead of the argument, however, is a rumored decision within UPS that the shipping company will expand to deliver packages seven days a week, a decision likely made to compete with FedEx and Amazon. The company recently began offering regular delivery on Saturday just a year ago. It seems that one main proposal on the negotiating table has left the Teamsters, one of the largest groups within the union, divided. The offer is to create a two-tier wage system that benefits both part-time and full-time workers. Part-time workers, who make roughly $15 an hour, would come on full-time at the same wage. Current full-time employees earn an average of $36 an hour, or about $75,000 annually. Other groups within the union argue that new full-time workers should be paid the same as existing workers. They say that since UPS posted a $5 billion profit in 2017, and whose shipments account for about 6% of the country’s GDP, shouldn’t have to rollback on paying workers a proper full-time wage to reach those marks. "Most people understand in the world of Amazon and e-commerce, UPS isn't going to be Monday to Friday or even Monday to Saturday anymore, it's going to be a seven-day operation," said David Levin, spokesman for UPS Teamsters United. "But they made record profits. They don't need concessions to do that." UPS handles 2.9 million packages and documents across the country every day and around 20 million globally. The company has 454,000 employees. The last time UPS had a strike was a 16-day walkout by the Teamsters in 1997, and there hasn't been a bigger strike since then. 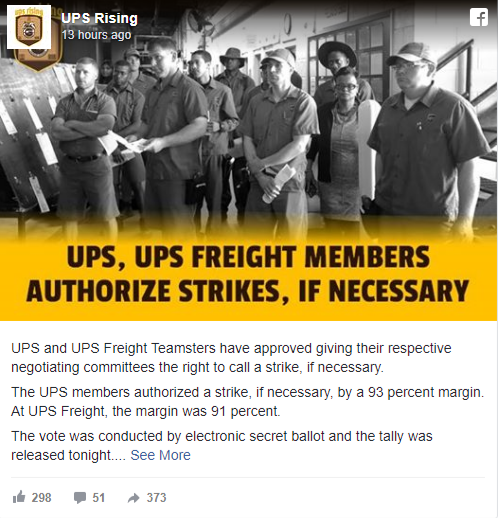 This strike could be even larger since there were only 180,000 Teamsters at UPS at that time.